Several US amateur and college baseball teams toured Japan in the early 1900s. 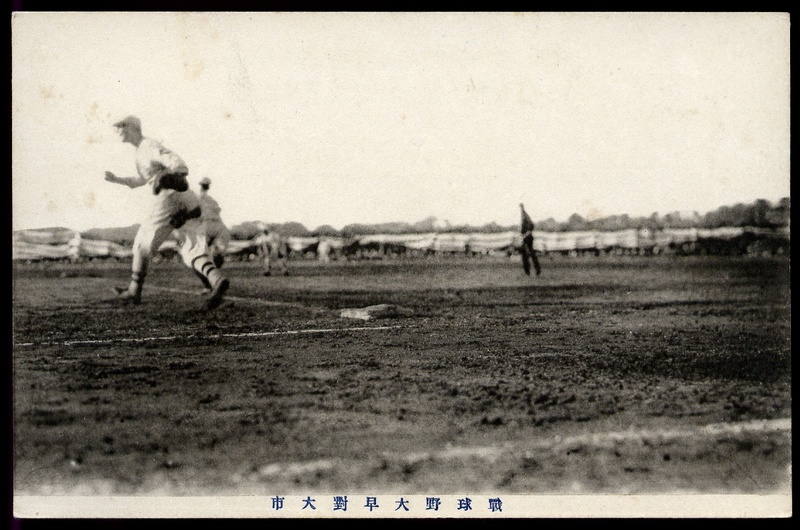 Below are postcards featuring the Seattle Asahis, as well as the University of Chicago baseball team doing battle on the ballfield with Waseda. In the 1900s, baseball teams from Japan's Waseda University came to the U.S to play their American counterparts. In return, the University of Wisconsin and the University of Chicago sent their baseball teams on tours of Japan. In 1914, Seattle's amateur Asahi Club became the first baseball team of Americans born to Japanese parents to play baseball in Japan. 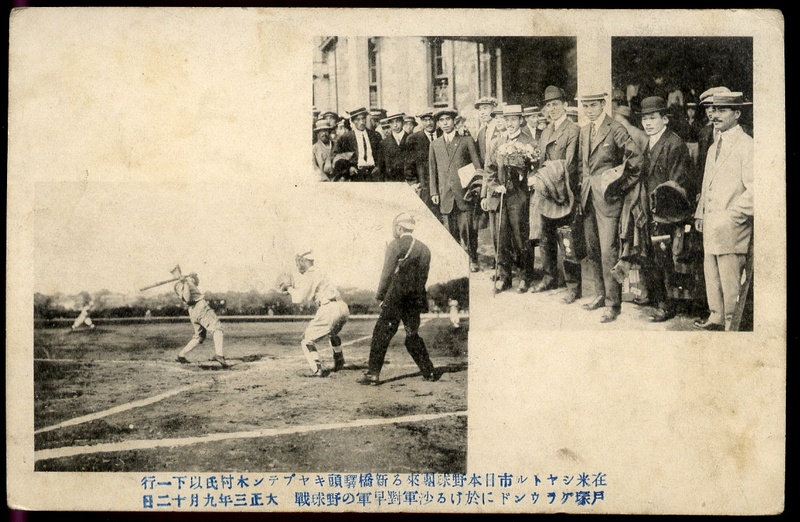 The postcard above shows the Asahis in suts and ties afer their arrival in Japan and in-action on the ballfield. 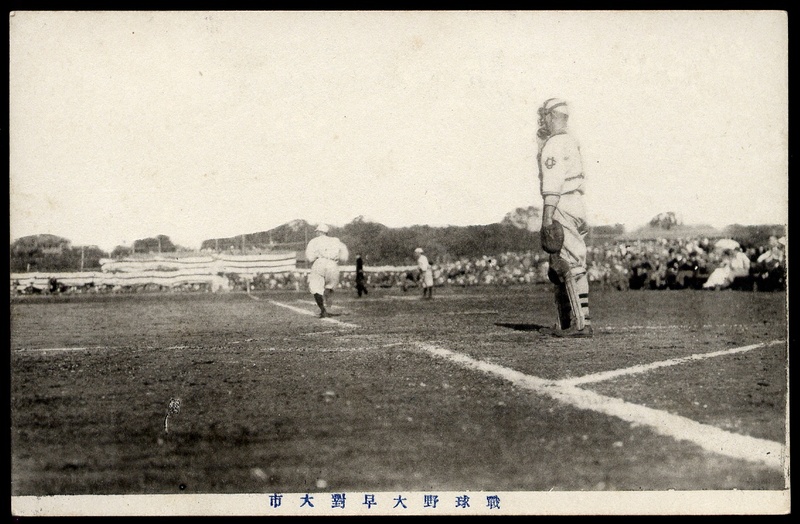 In 1915, the University of Chicago's baseball teams faced-off against Wasahi, as seen on the Japanese postcards below.